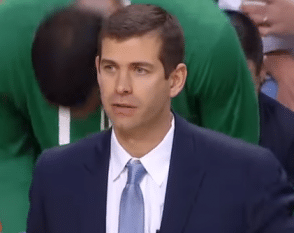 Brad Stevens ATO vs the 76ers by Mike Cyprien, Jr. In the eastern conference semifinals vs the 76ers, Stevens called to great plays to help get his team to victory. 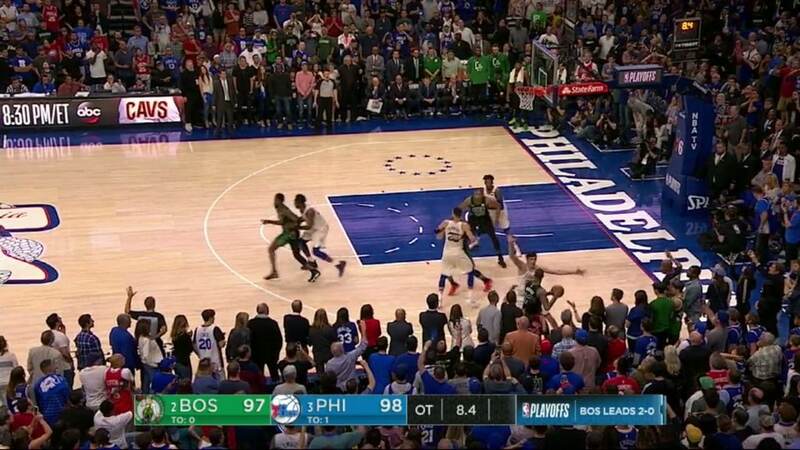 In this 1st play, the Celtics are in a side out of bounds situation. 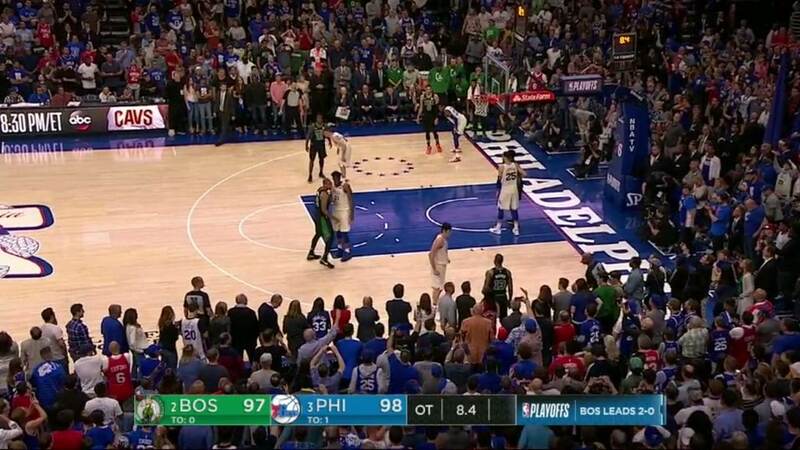 Down two points with less than 30 seconds in regulation and only eight seconds on the shot clock, the Celtics must put themselves in position to be able to get a good shot off that won’t take much time to develop. 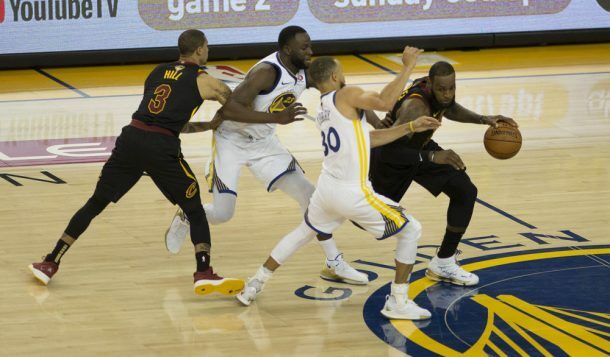 A Brad Stevens ATO play at the rim is the best option as they only need a two-point basket to tie the game and there’s plenty of time to be able to catch, gather, take a dribble or two, and get a good shot off. 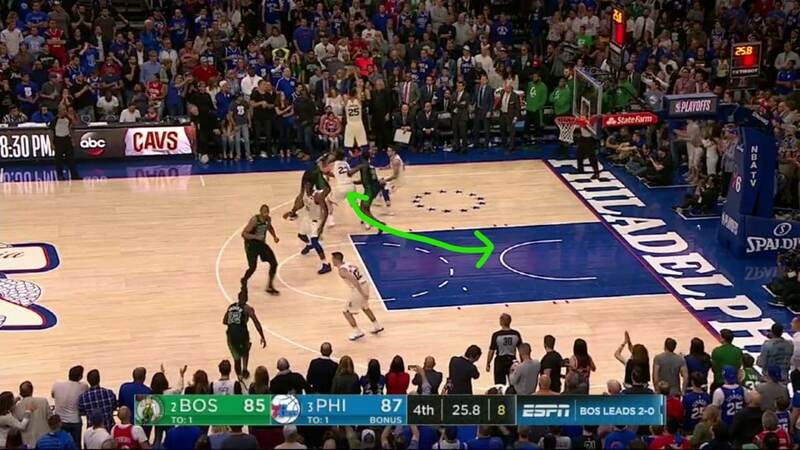 Philly is protecting the three-point line because a two-point basket doesn’t kill them, as they’ll get the last shot of regulation. If you notice, however, this leaves the paint open for a cutter(s). As the Celtics’ players get into the play, Al Horford loops over the top and set a pin down for Rozier and at the same time Jaylen Brown is setting a back screen for Morris. 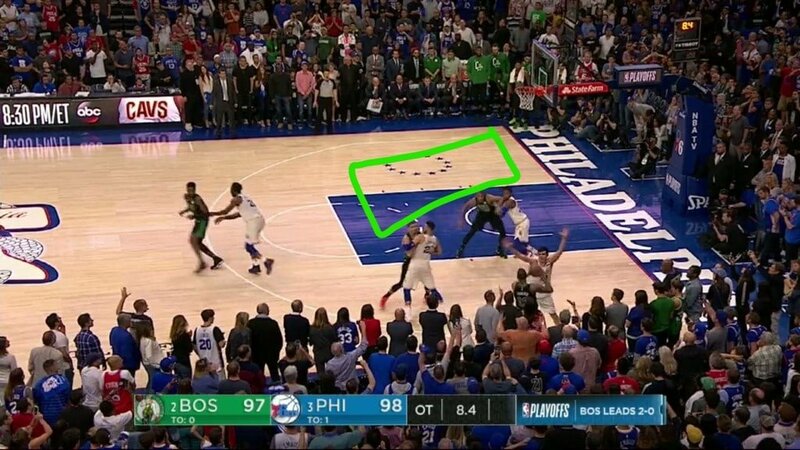 Horford’s screen on Terry Rozier seems to be a decoy, simply to keep their defenders occupied, as neither of Philly’s players is aware of the action behind them. Anticipating a switch, Jaylen Brown’s screen is a decoy also, as you can see he’s pivoting out of his screen to dive to the basket. Taking advantage of the switching defense, the Celtics were able to occupy three defenders, get a slip to the basket, and take advantage of a nice, open area for a lob pass. 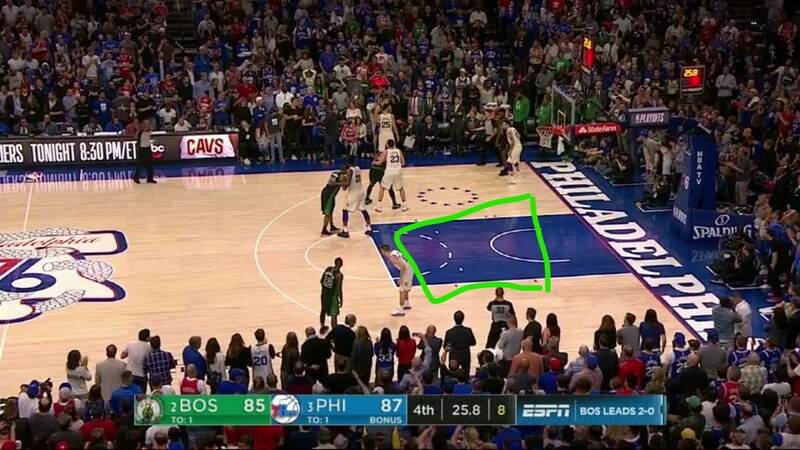 In the overtime play that won the game, Boston starts in a box alignment. Horford at the strong side elbow, Brown on the strong side block, Tatum and Rozier are opposite. Rozier will clear out from the weakside elbow and take his defender to halfcourt. Horford will down screen for Brown and Brown will clear out, taking his defender out of the Brad Stevens ATO play. 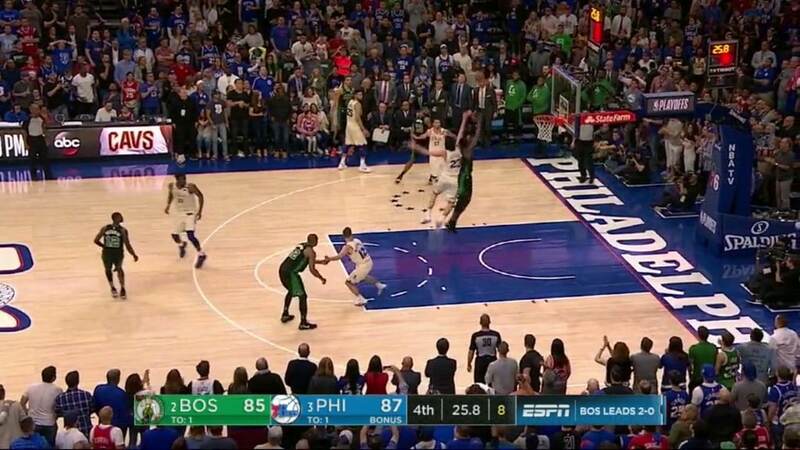 Lastly, Tatum comes across to the ball side and screens Simmons. Tatum, Brown, Rozier all clear out leaving Horford one on one in the paint with no help. 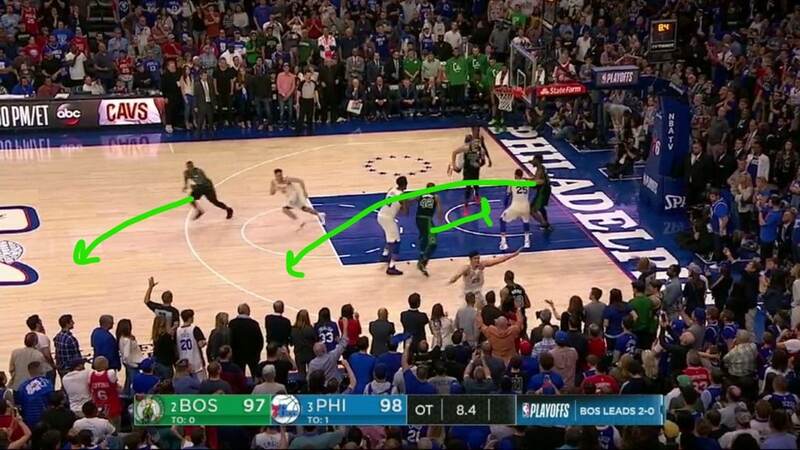 In the post-game press conference, Brad Stevens mentioned that the staff noticed the 76ers were switching the screens they were setting and used this to the Celtics advantage. It’s because of the switching that Horford, a center, was able to get a mismatch right at the rim while being defended by a perimeter player. The switching took Philadelphia’s biggest players and best rim protector away from the basket.